Four weeks to go….who will stay on this list and who will drop off. Also, who will be the first coach to get fired? Maybe that’s for another list. For now, here are the best coaches/biggest surprises for 2010 thus far…. 1. Todd Haley, Kansas City Chiefs—A two-game lead on the Chargers is nice when you face them in December. Let’s see where this dude sits next week. 2. 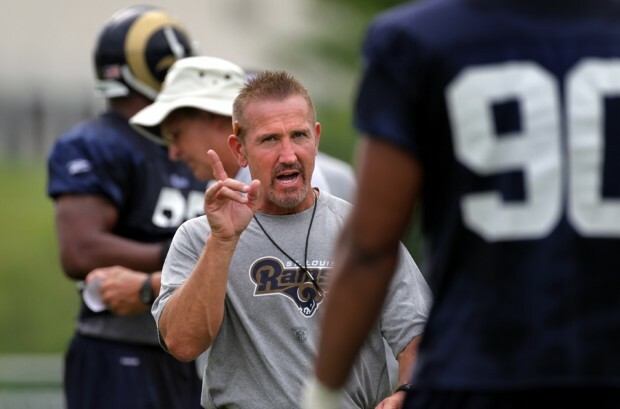 Steve Spagnuolo, St. Louis Rams—6-6 looks much better than 5-6, doesn’t it? At least it makes the Packers (8-4) and Bucs (7-5) feel better that they’re currently out of the playoffs based on standings. 3. Andy Reid, Philadelphia Eagles—A tough schedule to finish, but that has never scared Big Andy before, and it shouldn’t when Michael Vick is at the helm. 4. Bill Belichick, New England Patriots—If you put up 39 points on the Steelers and 45 on the Jets, you’re doing something right. 6. Lovie Smith, Chicago Bears—9-3, and everyone is STILL waiting for the other shoe to drop. 8. Tom Coughlin, New York Giants—Since being on the hot seat, Coughlin’s Giants have gone 7-2 and have won the last two games despite not having Steve Smith, Hakeem Nicks, and more than half of their starting O-line.